I am very pleased to announce the 1.3 release of the Sakai Connector Portlet. 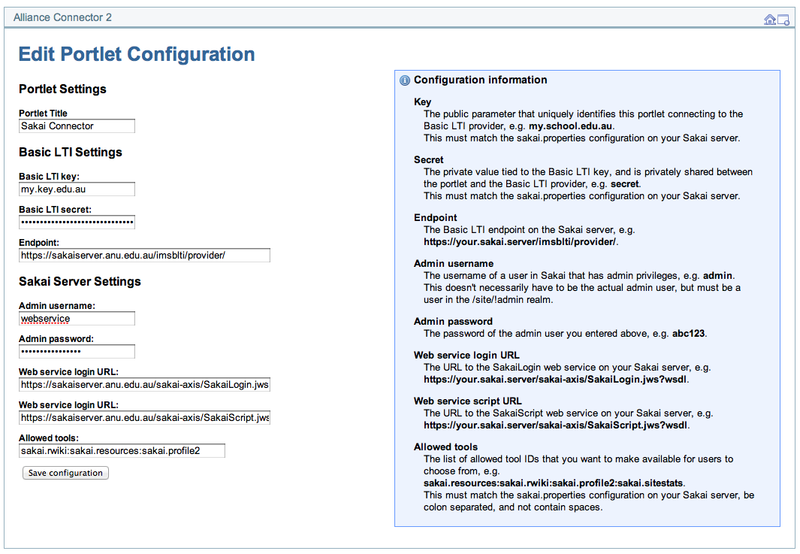 This portlet implements the IMS Basic LTI specification and allows a user to render any tool from a Sakai environment, as a full featured application within uPortal. The portlet is completely user configurable – users can choose from what site and what tool they want to render. Administrators can restrict the rendering of certain tools as desired. This release brings a number of new features including the CONFIG portlet mode for administrators to set the configuration at runtime.